share with you winning trading strategies and techniques for trading Stocks and Forex markets using technical analysis (chart reading) . trade to win – from just 30 minutes per day. Who are these online trading courses suitable for? Want to trade full-time or part-time using financial instruments including Spread Betting, Contracts for Difference, Stock Broking, US Stocks and Shares. 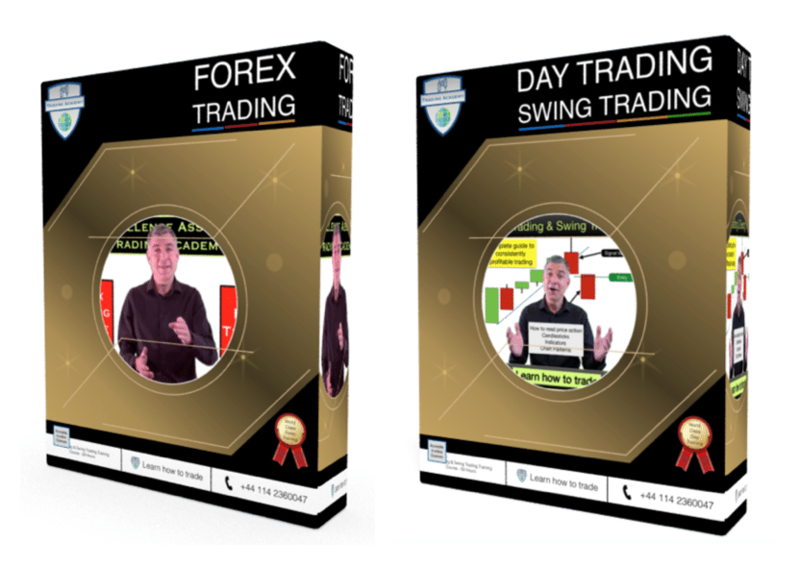 These are complete trading training courses for people wanting to learn how to day trade and swing trade stocks and Forex markets. Our primary aim is to enable students to have the knowledge that they need to make money from active financial trading. We will provide knowledge, ideas and systems for you to be able identify the right trades, right markets and the trading systems for you to use to achieve your objectives. Be able to understand how financial markets work. Be able to “read” price action in the markets in order to identify high probability trades. Be able to design a trading system that you can use and that is appropriate for the time that you have available to trade and the funds that you have at your disposal. Understand and be able to identify chart patterns. Have a practical, working knowledge of the various financial indicators such as Stochastic, MACD, Momentum, Bollinger Bands, Pivot Points etc. Be able to identify and make an interpretation of some of the key candlestick patterns. 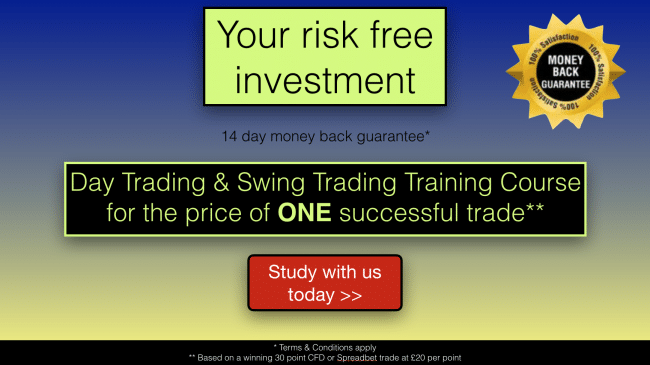 Understand spread betting, contracts for difference and other methods of financial trading. Gain a good understanding of the psychology behind financial trading. Understand how to use professional money management tactics. Understand the risk involved with financial trading. 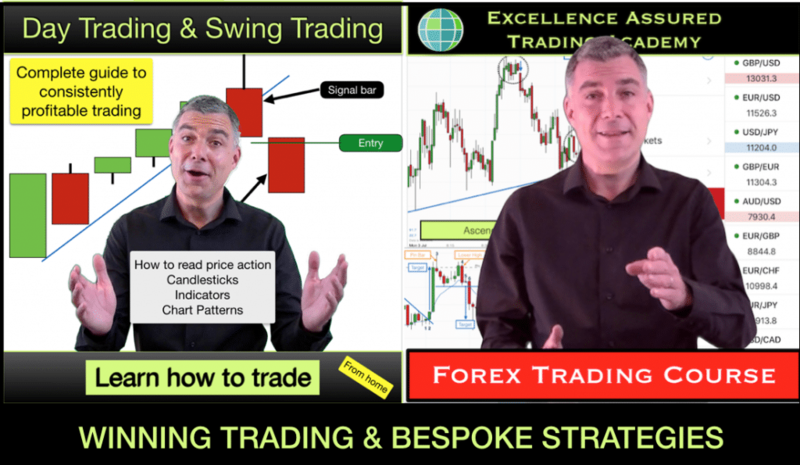 This is a video based online programme with access to you own personal trading tutor. We have over seventy high quality videos on the course which will take you through every aspect of your training. At the end of your course you will have the opportunity to conduct a “needs and analysis” review of the course and your own trading plan/system with your course tutor. If you have any questions or queries prior to taking this training then we would love to hear from you. Please complete the form below. 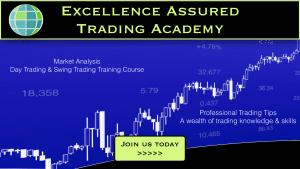 Your questions will be forwarded to Anthony Beardsell – Academy Director & Master Trader – who will reply to you directly. 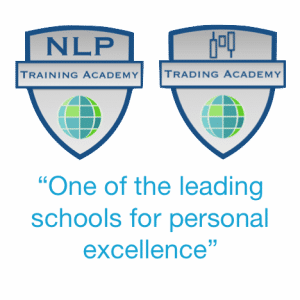 LIMITED OFFER – We are currently offering our Mind Management & Mindfulness (as used by City of London Traders) course for FREE with the purchase of one of our online Trading courses. Each of our two courses contain tried and tested methods that will help you learn to trade and provide specific strategies to help you to win in the financial markets. 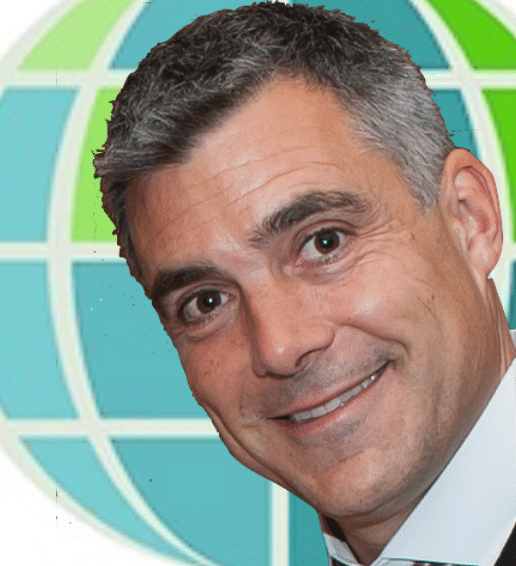 20+ years experience of investing and trading in the worlds financial markets. Developed an interest and expertise in day trading & swing trading – short term trading. Worked with & modelled professional traders, the best in the business and discovered their secrets. Using expertise in all things psychological and performance related Anthony realised why it is that 90% of home based traders lose money. Found the solution to their problems. Turned own trading around from losing beginner to become an all-star trader. In a nutshell there are two reasons why people lose money in trading. One is the emotional side of trading, losing traders and all beginner traders suffer from emotional fear and greed. The other one is that they don’t know enough about how markets really work to find good trading opportunities. Put together a programme to help traders manage the emotional side of trading and to give them the knowledge that they need from beginner level through to professional trader to make money consistently from trading. “When I first got interested in financial trading I didn’t know where to start. There is so much information out there. Books, manual and automated trading systems, trading platforms, internet blogs, forums, the list is seemingly endless. I was looking for a way of gaining knowledge of how modern financial trading works, learning the basics initially so that I could decide if it would be something that I could do and would be interested in pursuing further. I spent months and months reading all the books that I could get hold of, learning from the experts and piecing my knowledge together bit by bit. The knowledge that I gained during this period and from my previous work in financial services forms the first part of our online Trading courses. READ THIS CAREFULLY because this is doesn’t sound as if it can be right – You can make more losing trades than winning trades and still make money! This definitely piqued my interest as the market can only go in two directions, up and down. Flexibility – I could make a living from trading without being tied down to working specific hours of the day. Earning Potential – Wow. The earning potential is limitless. No need for a huge initial investment – I had originally thought that it would be impossible for me to trade without having hundreds of thousands at my disposal. This is not true. I realised that I could make it work with only a fairly small investment as long as I was careful and successful. If other people were able to make a success out of trading at home, on their own, with only an internet connection, a computer and a smallish financial stake, then I could do it too. Having decided this much I was hooked. I had to know more, so I read yet more books, I found a broker that met my needs, and I started devising my trading plan. Many of the books that I read (and that exist in the marketplace) were, in my view slightly outdated. Of course the principles of market dynamics have been around for hundreds of years and haven’t changed, however the information revolution (availability of high speed internet especially) that has taken place since the beginning of the 21st century has changed the landscape for trading. Therefore this has changed the way that markets react to the ever increasing number of traders and funds at the disposal of traders. I noticed that it was quite tricky to relate the things that I was reading in the books to the real life, current trading environment. 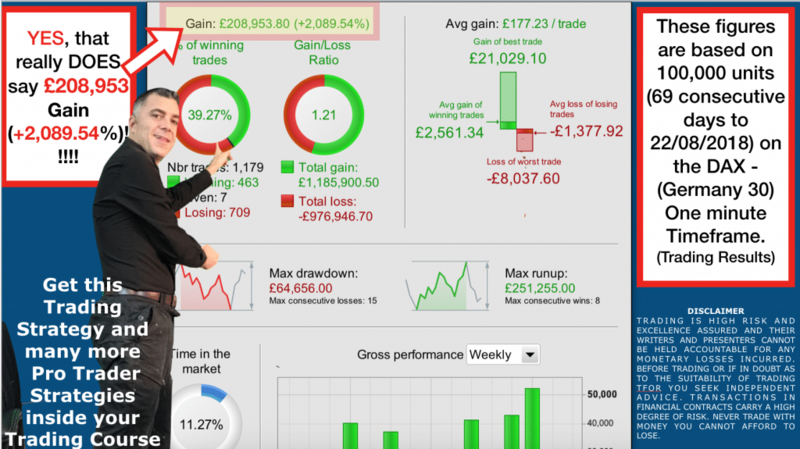 As a result I undertook hours and hours of research, system testing, testing and more testing until I finally began to devise trading systems that could work and make money for a person with a busy life, trading from home, using a computer and internet devices (this is the type of person that this course is designed for). how to apply price and momentum indicators (like MACD, RSI, Momentum, Bollinger Bands etc) and how to use them in a trading system. All you need to know to be a trader – The idea here is to save you time. Time is money of course. I spent hour upon hour doing the study and the testing so that you don’t have to. I leave out all of the junk and tell you specifically what I discovered to be relevant in trading. We discuss trading systems that work on any market, whether it is forex, stock indices, individual shares or commodities and any timeframe, so that you will learn how to trade with anything from the 1 minute charts up to the monthly charts. This way, based on the information that we provide you with, you can decide what you trade in and over which timescales – to suit your lifestyle and trading preferences. 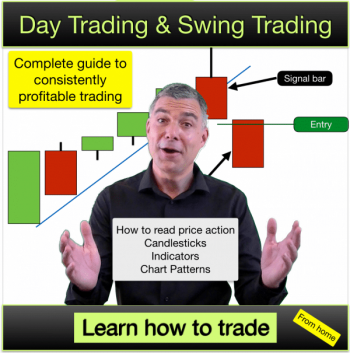 Most trading training courses will tell you HOW systems are designed to work and they will tell you which signals to look out for on the various chart patterns and which indicators to use. This is useful but it is only half of the story. 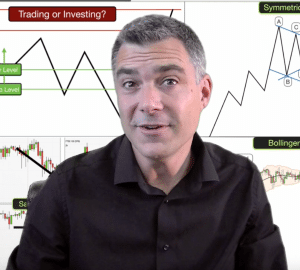 Our course will explain all of this and most importantly we will also explain to you using examples WHY these chart patterns and indicators work, why they are important and how to relate them to each other and make sense of them. You see a candlestick pattern emerging on a chart. You recognise this specific type of candlestick pattern from your training. You know that this pattern is likely to mean that the next price movement is upwards. Is this sufficient information for you to place a trade? For some it is sufficient. What happens if you place a trade and the price starts falling and you lose money? The likelihood is that you will lose faith in trading that type of candlestick pattern and next time you see it emerging you will not take the trade. Now, how would that situation be different if you were able to know why that particular candlestick pattern indicates that the price is likely to rise subsequently? If you are able to relate the candlestick pattern to what it actually means in terms of supply and demand and price movement then you are able to make a non emotional assessment of it. You will start to understand the probability aspect to it. This will enable you to make a rational interpretation of what happens next without forming inaccurate judgements. Thus building your skills as a trader. In this case if price subsequently falls you will be able to understand why this happened, make an interpretation of it and decide if your trade is still a likely winner or whether to exit the trade and cut your losses, ready to trade again upon the next trading signal. In fact, you can tell if we are right about this because if we are then you are probably thinking now about situations in the past where you can relate to what we are saying. You didn’t do that deliberately, did you? This is how your brain works at the deepest level. We embrace this knowledge to help you become a better trader. Understanding the context for things, the bigger picture and how new information relates to other things that you already know is vital in learning as at the deepest level your brain works with patterns and symbols. The subconscious part of your brain picks up signals constantly from things that you are looking at, hearing and touching and it relates them to other things that you have encountered in the past. It enables you to make sense of things quickly by picking up similar patterns and this enables you to interpret information speedily and intuitively. This is the reason why you are able to make accurate predictions sometimes using your intuition. The answers just come to you and prove to be correct. You just know that you are going to be right. Intuition is vital in trading as it means that you are able to make quick and accurate predictions on future price movements based on the patterns and symbols that you are seeing and interpreting in the current moment. All successful professional traders have this intuition. This is the reason why many of them cannot explain why they are so successful. Once you have this intuition then you are able to validate it as much as possible using the data available to you from your trading platform and your charts and indicators. There is a huge difference between intuition and guesswork. If you don’t know why something happens in the markets and you are not able to interpret the data and relate it to past knowledge then you are guessing. Guessing is one of the main reasons for failure in trading. Intuition and accurately interpreting market data is the main reason for success in trading. Our training is specifically designed to enable you to develop your knowledge and intuition in the trading environment alongside the skills to interpret data so that you have the best possible opportunity to validate your intuition. You will know how to trade and you will have a workable system that works for me very successfully. You will have knowledge and be in the process of building the skills that you need to achieve your trading objectives. You will be able to use these skills and knowledge over the next days, weeks and months of practice and testing and perfecting, doing exercises from the course, reviewing and revisiting the various aspects of the course as you work towards profitability and beyond. 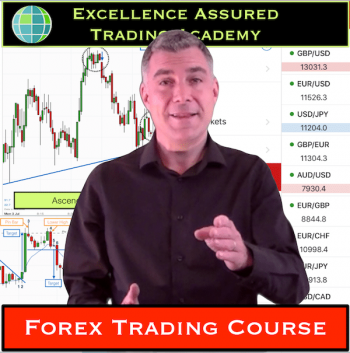 Go ahead with your online trading course.